The Use of Open Source is Growing. 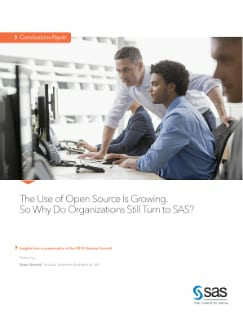 So Why Do Organisations Still Turn to SAS? Should your company use commercial analytics software or open source to meet business needs? What’s best when using Hadoop?